A list of people and the times when they are required to work. 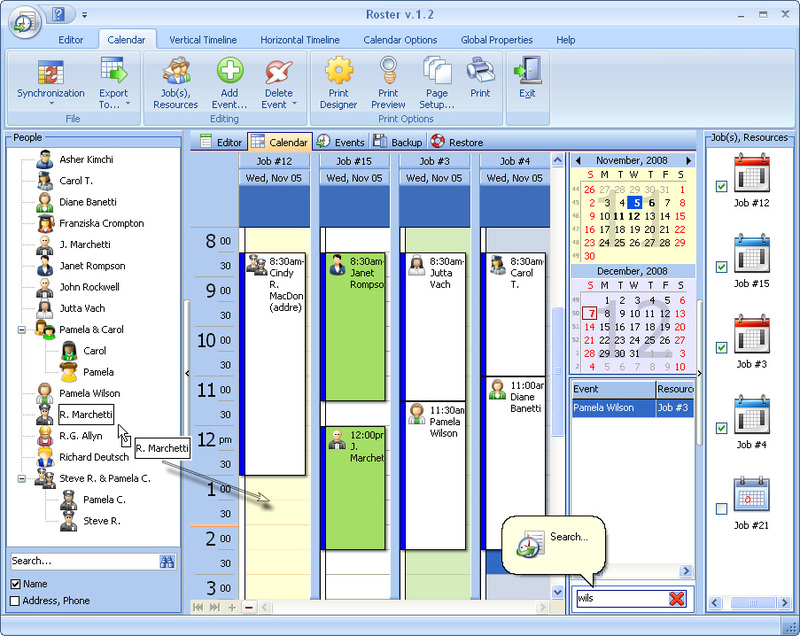 Roster is a modern and extremely easy-in-use software tool for schedule management in companies or for individual use. Roster is designed to simplify the process to prepare and maintain staff duty rosters. Duty roster software can save you up to 90% in scheduling time. You pay for the program only the first time and get all new versions of this program for FREE and for a lifetime! ...... whole staff. Roster enables users to switch between profiles to view the schedule of any staff member, it is also possible to view multiple profiles simultaneously or open the schedules of several members at the same time. It's possible to create reminders to alert people about the things they should do. Available is an automatic search and auto-field filling for a people, who has already been entered to the database. Rosters is an easy to use staff scheduling solution with workforce optimisation. Soccer coaches track your soccer team's roster from game to game. Football coaches track your football team's roster from game to game. Define your staff roster schedules and calculate your wage costs with ease. Qweas is providing links to Roster 2.8 as a courtesy, and makes no representations regarding Roster or any other applications or any information related thereto. Any questions, complaints or claims regarding this application Roster 2.8 must be directed to the appropriate software vendor. You may click the publisher link of Roster on the top of this page to get more details about the vendor.